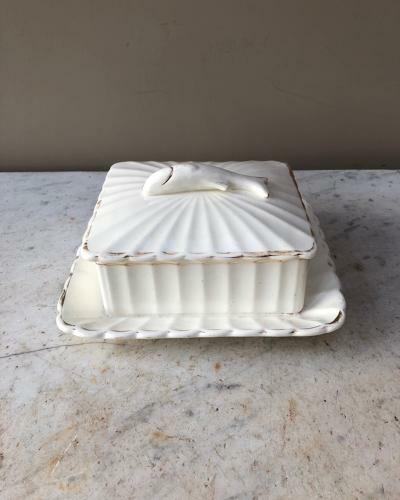 Early 20th Century White Sardine Dish with its Original Lid. No damage but stain inside one corner. Havent tried to bleach out.